﻿﻿Mazda loves what rocks your world and with Mazda CarPlay it’s better than ever. Apple CarPlay™ and Android Auto integration allows you to access Google Maps, Waze™, Spotify™, iTunes™, playlists, contacts and compatible apps with your voice or Siri. Customers experience their system reading incoming text messages, and hands free replies. Android users experience available Android Auto™ integration. Your world is with reach and connected, ’cause we think you rock! Experience the ultimate in mobile connectivity and stay totally engaged in the drive. A family favorite, the 2018 Mazda CX-9 Grand Touring has something for everyone. 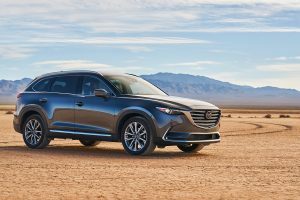 From Dynamic handling, to 4 USB ports for powering tablets and smart phones to G-Vectoring and Traffic Sign Recognition for enhanced safety, the 208 Mazda CX-9 Grand Touring checks all the right boxes … with style. 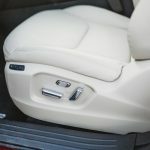 Inside you’ll find gracious Leather details, fine touch points throughout the interior that provide a comfortable, luxurious space; an escape from the hustle outside. 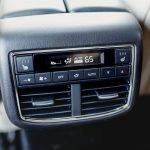 Premium Bose Audio, Surround Sound Centerpoint, Streaming Bluetooth, Pandora or Spotify and Sirius XM Satellite Radio, standard of course. 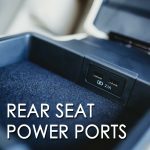 4 UBS ports charge the kids tablets so they can enjoy their entertainment while voice activated Navigation supplies information and the Heads-up Display provides turn by turn direction. 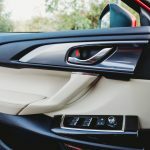 There’s even Traffic sign recognition, so while every convenience store, gas station and shopping center create distractions via for your attention, the Mazda CX-9 delivers to you the traffic signs that spell out safety. The CX-9 offers exceptional performance. The Turbo-Charged Skyactiv engine that is the foundation of Mazda’s product line boast 300 ft lb of torque. That’s enough to tow 350 lb, an carry 71.2 cu ft of cargo! Mazda’s G-Vectoring provides smooth transitions into turns while Mazda Lane Keep Assist doesn’t just warn you of leaving your lane but intervenes to correct your path and put you back in lane. Come drive the Fabulous 2018 Mazda CX-9 Grand Touring for yourself and see how Mazda puts the Power in your hands. For 2017 Mazda has included in all Mazda6 it’s clever G-Vectoring Control system. It’s response and transfer of load makes for a smoother transition when entering turns providing a more luxurious ride and enhancing the Mazda6’s dynamic handling. The Mazda6 Grand Touring boast Mazda i-Activsense safety bundle can now detect and react to pedestrians, read traffic signs, and automatically brake ( from speeds up to 99 mph). Already the quickest car in it’s class, boasting the best 0-60 mph, 50 – 70 mph, and the best standing quarter mile, when compared to the: Honda Accord, Volkswagen Passat, Toyota Camry and Chevrolet Malibu. Drivers say, the Mazda6 is “a sports sedan impersonating a mid-size family sedan.” But don’t take our word for it, get in and drive the 2017 Mazda6. Mazda’s focus on Safety has never wavered. 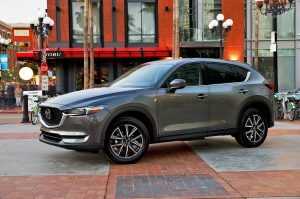 The new 2017 Mazda CX-5 proves that a small SUV can be both Economical and Safe while delivering a Higher Level of Luxury. Mazda’s passive safety engineering provides in case of a crash but the inclusion of accident mitigation technology delivers the driver and occupants the highest level of safety. 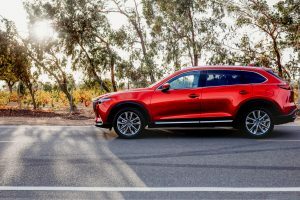 The new 2017 Mazda CX-5 is available with Radar Cruise Control, Lane Keep Assist, Brake Assist, Blind Spot and Cross Traffic Warning System, Adaptive lighting, Traffic Sign Recognition and more. Drive a new 2017 Mazda CX-5 and see for yourself why Mazda is the Drivers Choice®.